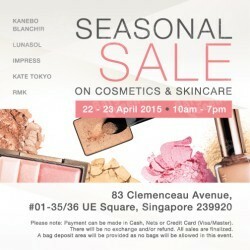 Shiseido and Luxasia Warehouse Sale have just ended, and now Kanebo Off Season Sale is coming right up! 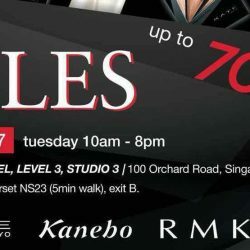 Don't hesitate, take leave and head down to this one-day year-end warehouse sale to grab up to 70% off Kanebo, KATE Tokyo and RMK beauty products! 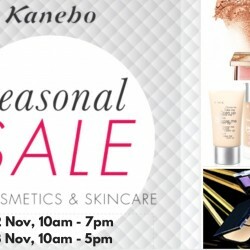 The highly anticipated cosmetics warehouse sale from Kanebo is here again! Happening from 22 to 23 November 2016 at Holiday Inn Singapore Atrium, this sale features from the company’s most prestigious brands including Lunasol, Blanchir Superior, Impress, RMK, to its drugstore bestseller Kate Tokyo, ranging from eyeshadows palette, foundation, powder, lipstick, lip gloss, mascara, bb cream, concealer, to serum, toner lotion, moisturiser, cleanser, mask etc. Check out our previous Kanebo sales write-up here and also our tips on surviving a warehouse sale here! 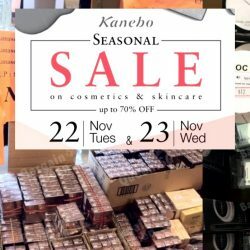 The highly anticipated cosmetics warehouse sale from Kanebo is here again! Happening from 15 to 16 June 2016 at Holiday Inn Singapore Atrium, this sale features from the company’s most prestigious brands including Lunasol, Blanchir Superior, Impress, RMK, to its drugstore bestseller Kate Tokyo, ranging from eyeshadows palette, foundation, powder, lipstick, lip gloss, mascara, bb cream, concealer, to serum, toner lotion, moisturiser, cleanser, mask etc. Check out our previous Kanebo sales write-up here and also our tips on surviving a warehouse sale here! 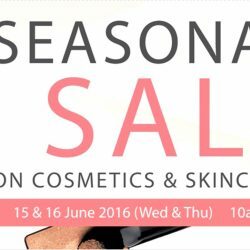 The highly anticipated cosmetics warehouse sale from Kanebo is here again! 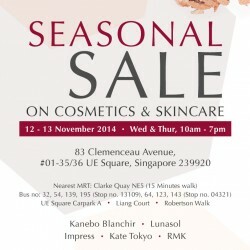 Happening from 12 to 13 November 2015 at UE Square, this sale features from the company’s most prestigious brands including Lunasol, Kanebo Blanchir, Impress, RMK, to its drugstore bestseller Kate Tokyo, ranging from eyeshadows palette, foundation, powder, lipstick, lip gloss, mascara, bb cream, concealer, to serum, toner lotion, moisturiser, cleanser, mask etc. Check out our previous Kanebo sales write-up here and also our tips on surviving a warehouse sale here! The first Kanebo seasonal Warehouse Sale in 2015 is here! Featuring popular Japanese skincare and cosmetics brands including Lunasol cosmetics and skincare, Kate Tokyo, Blanchir Superior, RMK, Impress Ic and more. This year’s Kanebo Warehouse Sale 2014 with discount up to 70% is here! Featuring popular Japanese skincare and cosmetics brands including Lunasol cosmetics and skincare, Kate Tokyo, Blanchir Superior, RMK, Impress Ic and more.